There's egg on someone's face after it was reported Sen. Chris Dodd agreed to write about the financial crisis. He hasn't. 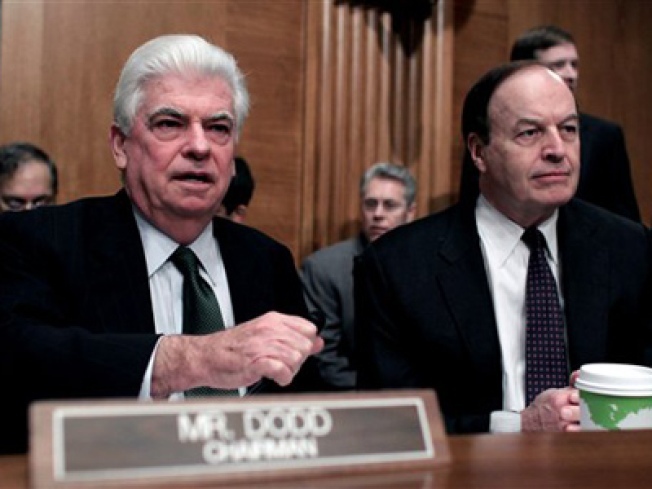 Dodd, Chairman of the Senate Banking Committee, has a new book coming out in June. It's about all of us and what happened to our money. This was going to be a story about Senator Chris Dodd's personal stimulus plan -- authoring a book about the financial crisis. Crown senior editor Sean Desmond has acquired a history of the congressional bailout of the financial markets by Sen. Christopher J. Dodd with Lary Bloom. Titled "Thirteen Days: How the Financial Crisis Changed the Politics of Washington," the book will provide an intimate look at how, over the course of 13 days last September, a financial crisis led to panic and meltdown. Dodd, the chair of the Senate banking committee, will also describe how he and others acted swiftly to try to save the American economy. His friends on the other side of the aisle were quick to help. The National Republican Senatorial Committee quickly fired off a press release, suggesting a slightly different title... "13 Weeks: The Senate Banking Committee Chairman's Time in Iowa While the Housing Market Collapsed." By mid-day Friday, we learned there is no book deal. The Senator has not signed on any dotted line. In fact, there's still this little hurdle of the Senate Ethics Committee. Publishers Weekly, through information prematurely sent by the publisher, announced a book deal between Crown Publishers and Senator Christopher Dodd on the Senator's role during the financial crisis last fall. Crown Publishers would like to clarify that in fact, Senator Dodd and Crown do not yet have a signed agreement, and that the actual content of proposed book will chronicle how Congress and the Bush Administration responded to the financial meltdown. A publishing insider tells us that this is not Senator Dodd promoting a book deal, but really the mistake of the publisher, Crown, making an inaccurate, premature announcement. But the best official line may be this: "If Crown and Senator Dodd reach agreement, Senator Dodd plans to donate his proceeds from this forthcoming book to charity." The forthcoming book that isn't forthcoming. Except that you can pre-order the book here on the Random House website, or here on Amazon for just a recession-proof $16.29! The non-book book is expected in June.